‘Brokerage’ or ‘NO Brokerage’? There used to be an era when brokerage was the sole option for all kinds of property deals. Being a tenant to a new place especially in Bangalore an urban part of the country, the factor that disturbs greatly is none other than but a ‘brokerage’ and all they were searching for no broker Bangalore scheme. For a prolonged time, tenants, as well as owners, survived through a blur phase of property oriented transactions since flats without brokers in Bangalore was almost impossible. By applying several unrecognized and unreasonable tactics the brokerage cult cunningly maintained their ill-practices of fraudulent. Thus their cheap acts have absolutely murdered the trust quotient from the clients towards any service providers that primarily deals with property related deals. With the end of the 90’s and the during the initial progress of the new millennium, a new concept emerged in the world of renting property deals, which profoundly came to be known as ‘Property Management Service Providers/Companies’ which primarily provides flats without brokers in Bangalore. With them, a hope in this sector also emerged inside the clients. 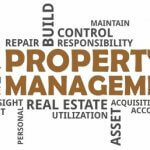 Present status of Bangalore’s distinct property management companies! Several property management companies aroused throughout the present decade in Bangalore which serves the purpose of easing different kinds of property dealings through no broker Bangalore schemes, with clean and dedicated management norms. Eventually, modern clients were shifting and accepting these services from different property management companies. Property management companies which are famous today had rapidly gained the trust of several new tenants over the region of Bangalore during that period. 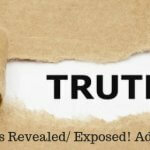 But eventually at a fast pace, their services started to decline and clients lost their trust over them. Likewise, clients all over the country and outside started to relate the property management companies with that of the brokerage. Since these giant names also started to follow the path of cheap brokers and for nominal profits even they started to cheat their clients. Nevertheless, there were other property management service providers also who commenced on their journey from a professional and dedicated approach. One of among them is APNNAGHAR Property Management Company, which gracefully continuing in Bangalore as the leading property management service provider that primarily maintains their services in a ‘no broker in Bangalore’ mode. 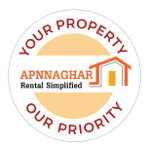 How APNNAGHAR is different in class than other existing property management firms in India? Since from their first day in this sector they primarily reserved some of the essential features for the purpose of keeping the notion of ‘no broker in Bangalore’ alive. Proper documentation– Amidst various property management companies APNNAGHAR have always stayed strict on the ground of representing proper documentation backed by legal stamps. Since part carries immense importance from a tenant and especially for an owner, thus their trust must be maintained undoubtedly. Unfortunately, some companies are randomly failing to keep their documents updated for the purpose of doing extra profit margins from the tenant as well as from the owner also. Matches the requirement of the tenants within affordable and reasonable price-APNNAGHAR’s special features also cover the facility of finding the proper property on behalf of the tenant matching their exact tastes & preferences. Other famous property management companies though provide the client with a flat without brokerage but in reality, they charge a huge amount for which most of the time tenants step aside from having property according to their taste. Thus due to the use of fallacy a tenant has to comprise with their wishes. Fortunately, APNNAGHAR values the preference of each tenant and manages to serve them with the best deal available under no broker scheme. Avoidance of high deposits- when other property management companies run their services with high deposits schemes in return of fulfilling the demand of the tenants for flats without brokerage in Bangalore, APNNAGHAR is continuously striving for delivering great living experience nominal deposit system. APNNAGHAR maintain a fixed rule of 5 months deposit availability only cutting all other nuisance in the market. Flexibility and clarity in rent payments- To ease the tenant from the unwanted issues related with fixation and payment of the rent, APNNAGHAR has primarily provided them with the facility of giving rents through online & banking payment gateways. Besides that the amount of the rent is basically done depending on the nature of the location, amenities available, and many other essential benefits but that also leads as the best pricing charge in the city. Great professional availability of vendors & technicians- for the purpose of servicing & repairing related requirements APNNAGHAR has superficially provided services through their vendors & technicians, especially for the tenant’s assistance. The lowest charge of service fee- APNNAGHAR has no intention of giving charging high money against any service from them. Thus they have fixed their service fee for years at an extremely low range of 5 thousand minimum. No broker Bangalore cannot be perfectly possible through treachery but can be vehemently attainable by APNNAGHAR’s touch.